alternative gifts there is something for everyone. 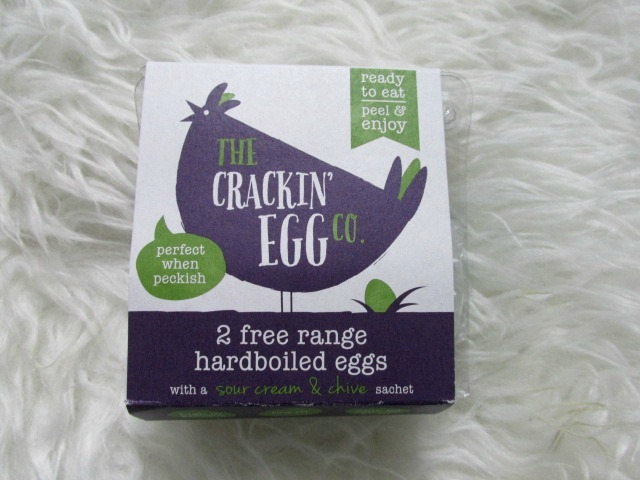 The Crackin Egg Co who have a selection of free range hardboiled eggs. They are perfect as a snack when you’re on the go, or just feeling peckish. Choose from Salt & Black Pepper, Sweet Chilli, or Sour Cream & Chives to give your eggs extra flavour. If you love chocolate and coffee than Beanies have the perfect combination. By the way they are also less than 2 calories per serving. Born Gifted is such a cute gift idea. A soft bright orange plush carrot with a green felt top and a zip. Undo the zip and inside is a charming baby rabbit! The rabbits come in 2 colours and you never know which colour will be ‘born’ when you unzip the top of the carrot. Another great alternative gift for kids is a selection of books. I was sent a fab selection to enjoy with Blake. Join everyone's favourite dog in this adorable board book for budding young Squirrels! 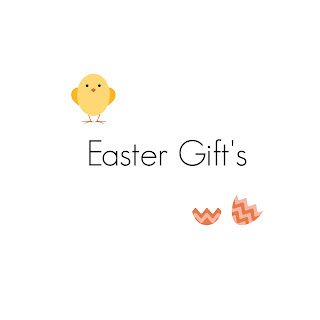 In this seasonal title, Duggee and the Squirrels go on an egg hunt with a difference – making it a perfect gift for the Easter holidays! Welcome to Puffin Rock - home to two young and fun puffins, Oona and Baba. Join the pair as they embark on new and exciting adventures. During playtime, the two puffins find an egg all its own, and endure a race against time to reunite the lost little one with his worried family! Sometimes the bravest hero of all . . . is just a little chicken! featuring a laugh-out-loud funny story and adorable, relatable characters. Chicken Nugget has plenty of series potential, and enjoys a timely release just ahead of Easter! When Vincent’s mother gives Vincent a shopping list and asks him to do her a special favour, Vincent is enthusiastic and excited, determined to get it right … but after being interrupted on the way, he ends up bringing a whole hord unexpected guests back home! Of course Vincent’s mother just wanted to make tea… But is that…. a CHIMPANZEE?! Sophie doesn't want a story time filled with cute kittens and birthday parties, she wants rocket-launching helicopters and a giant robot dinosaur! Clever, funny and heart-racingly exciting, this is a book to inspire and delight every little girl and boy. Blake has really loved listening to me read these books and has been sat on my lap snuggled up. We definitely recommend these titles. A delicious Organic Fairtrade Milky chocolate Easter Egg for those seeking to avoid dairy, gluten and nuts. A wonderful dairy free milky chocolate made with no sugar added. This delicious chocolate is ideal for those who want to avoid added sugar, dairy, gluten and nuts . Elizabeth Shaw, has given a new lease of life into there Easter offering this year by launching a new range of luxury chocolate Eggs. The milk orange crisp Egg has a deliciously crunchy orange flavour milk chocolate shell egg with melt in the mouth honeycomb crisp pieces. Wrapped in a beautifully designed gift box which includes 12 milk orange crisp chocolates and a uniquely decorative ribbon handle, making this the perfect gift for someone special in your life. This chocolate egg certainly felt very luxury and we enjoyed this chocolate egg. Even Blake who ended up taking some from the box when I wasn't looking. 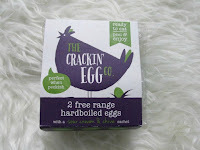 Another fab brand to try out is Monty Bojangles I was sent the Choccy Scoffy egg. Which is a delicious hollow milk chocolate truffle Easter egg on top of a collection of individual truffles. This creamy milk chocolate egg is made with Belgian milk chocolate and accompanies a selection of Choccy Scoffy cocoa dusted truffles. This egg is to die for I really enjoyed the truffles. This year they have such a huge range of Easter chocolate treats. These small/medium range of Easter eggs are an ideal gift. Whether they love Cadbury Dairy Milk Freddo faces, Cadbury Dairy Milk Buttons or Cadbury Mini Eggs to name a few, they won’t be disappointed as these delicious treats will help to create special and memorable moments on Easter morning. 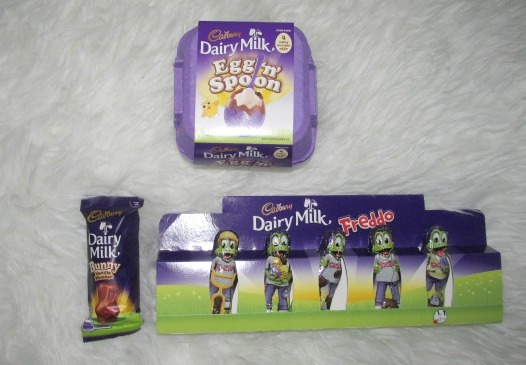 Cadbury Dairy Milk Egg ‘n’ Spoon is the ideal treat to share. 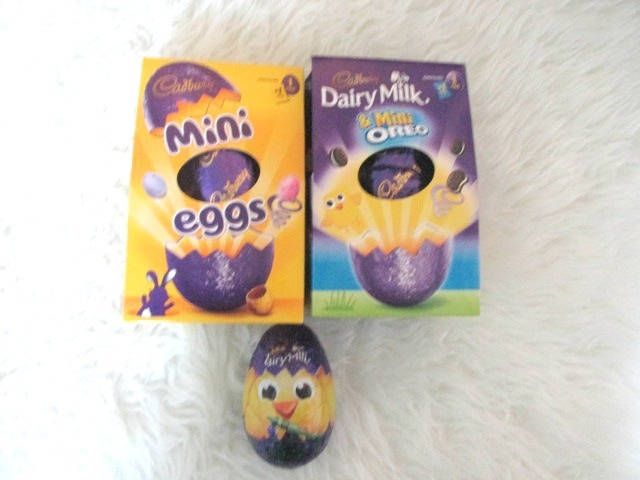 In keeping with the theme, open up the egg box to reveal four individually wrapped delicious Cadbury Dairy Milk chocolate eggs. Crack the top of the egg and use the spoon provided to scoop out and enjoy the fluffy mousse centre, yum. Cadbury Dairy Milk Freddo Minis frog shaped choco-licious treats will have the whole family smiling and there’s plenty to share. Ribbit! The Cadbury Dairy Milk Bunny is filled with a delicious light and fluffy vanilla mousse that tantalises the taste buds with an abundance of flavour and texture. 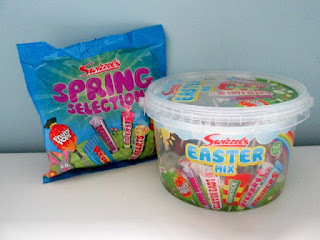 a fab Easter mix and Spring selection. This is the ideal gift for Stuart as unlike me he prefers his sweets to chocolate. Will you be going the traditional chocolate egg routine this year? Or maybe you will be doing an alternative gift I'd love to know. What you are getting your little ones, your other half etc? Great selection of items you've covered everything! Love the books you've chosen :)! 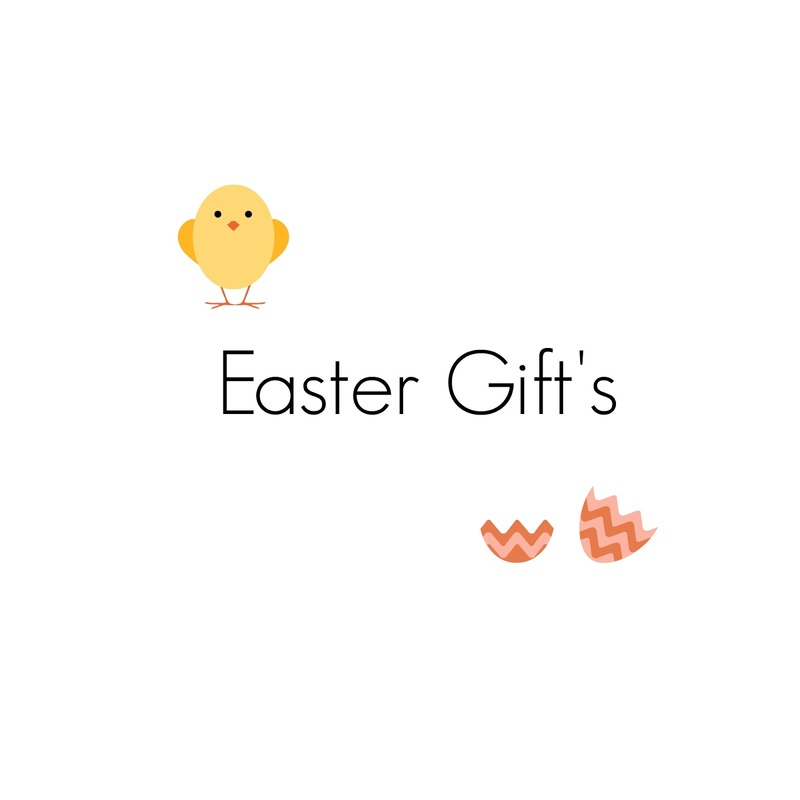 Yummy list of delicious Easter goodies & gifts! Those books look like great choices. My youngest loves Duggie! Great alternative gift ideas! I certainly would prefer them to chocolate, although my husband and daughter would certainly NOT agree with me. Some really fun ideas. That rabbit is incredibly cute! And I love the idea of the 'Not a Bedtime Story' book, sounds like one my daughter would love too. 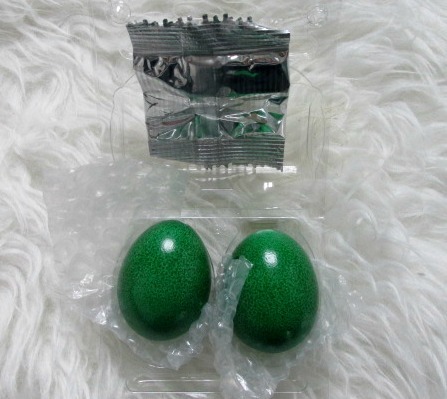 The sour cream and chive eggs sound amazing what price do they retail at? I love eggs they are so good. Some great ideas here. I love the the little bunny in the zip up carrot. That's right up my daughter's street as she is rabbit obsessed!! I actually prefer giving books or anything else other than chocolate to kids. To much sugar for a couple of days. What a brilliant selection of gift ideas. I love the rabbit in the carrot! I recall having something similar when I was a kid. How have I not seen that coffee?! I really want to give it a try although I can't imagine what it will taste like, is it not just like hot chocolate? Great gift idea, I'd love the coffee selection but I'g also like all the chocolate too!